Not wishing to state the obvious……but your lawn will only look at it’s best if you give it some help by way of H2O! Yes, wait till dusk comes and dowse areas thoroughly for as long as you can. 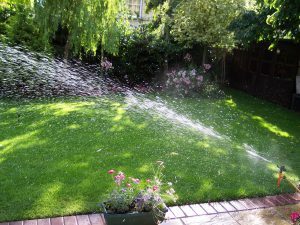 It does impact the water bill true, but it complements what you invest in the lawn by way of controls, treatments and fertilisers. PrevPreviousCometh the rain, cometh the ants!